After missing out on Wild Serai's last Nonya Supperclub, I was determined to go to the next event which was a Malaysian Street Food Brunch on Easter Monday. What could be a better way to spend my bank holiday than to be able to savour food from my childhood? 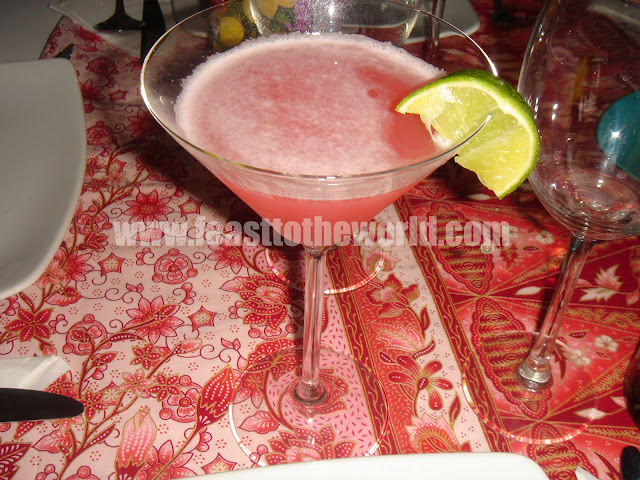 And to make it even more exciting for me, this also happened to be my very first supperclub, so I expected great things and I wasn't disappointed. The venue was in New Malden which was accessibly via the rail from Waterloo and that's where my journey began. After around 20 minutes or so, I found myself making my way to the venue on foot, bottle of wine clutched in one hand and iPhone google map app on the other, in the drizzly rain. As I approached the flat, I was immediately greeted by a very cheerful and friendly lady, who turned out to be one of the two helpers to the hostess. I make my way into the dining room. Two beautifully laid out dining tables, draped with what appeared to be traditional Sarong (my dad used to wear one of these). Elegantly arranged floral centrepiece in the middle and Keropok (prawn crackers) of humongous proportion were strategically placed on plates to form intricate displays of their own. Together with the mandatory tiny dishes of chili sauce on the side, this had been really well thought out as it almost managed to recreate a typical street hawker scene that you'll get in Malaysia, all you need now were the roaring traffic that passed by every so often. This brought a tiny smile onto my face. Almost immediately, Metropolitan cocktails were offered to us and slowly but surely, all the diners arrived. Names were exchanged and the conversations started flowing. 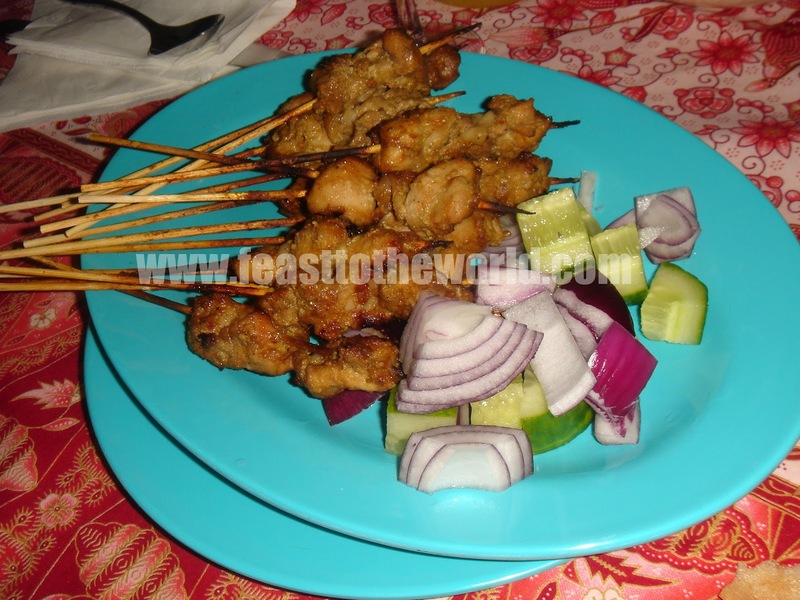 The first dish of beef and chicken satay arrived into the room and were met with great anticipation and gasps were heard. Everyone was obviously excited. The tiny morsels of grilled marinated chicken were very juicy and sweet; the beef version were just as good but not as tender as the chicken due to the lack of fat content but flavoursome nonetheless. The true star was the satay peanut sauce; rich and nutty with big flavours yet it all harmoniously combined to give a thrilling taste sensation. Perfect start to the meal! 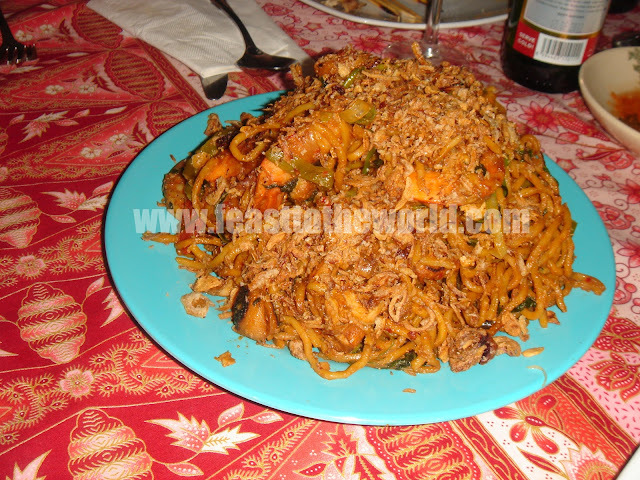 Next up was the mee goreng; thick eggs noodles along with giant prawns, fish cakes and fish balls, all stir-fried in a sweet and spicy sauce. Lightly tangy from the lime and the garnishes of crispy onions and dried ikan bilis that's been fried were wonderful additions, providing a contrasting crunch and a punchy aromatic fishiness. 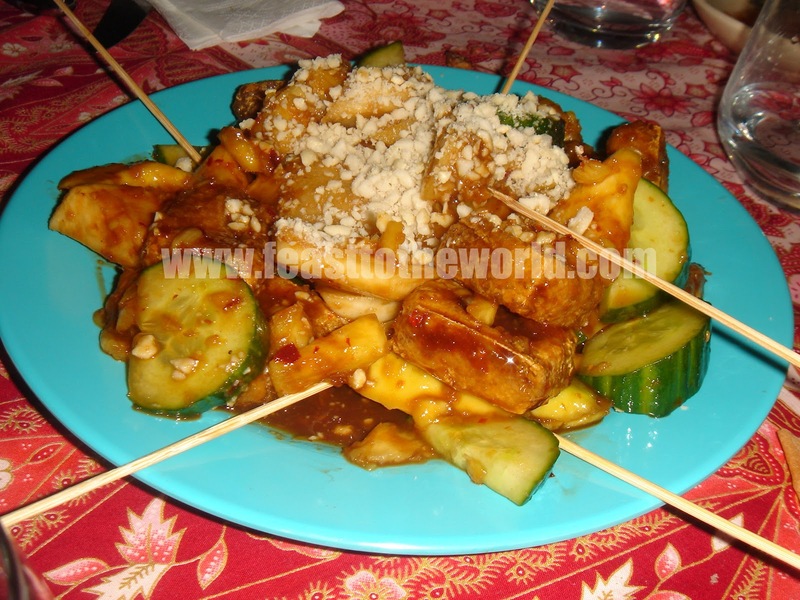 Penang Rojak, once again, another delectable treat. Fresh and green tasting cucumber; sweet slithers of mangoes and pineapple; crispy fried tofu amongst other fruits and vegetables; all drizzled with a sweet and pungent (in a good way) sauce. The taste of the tamarind and shrimp paste(Hae ko/petis Udang)were beautifully balanced and authentic inclusion. 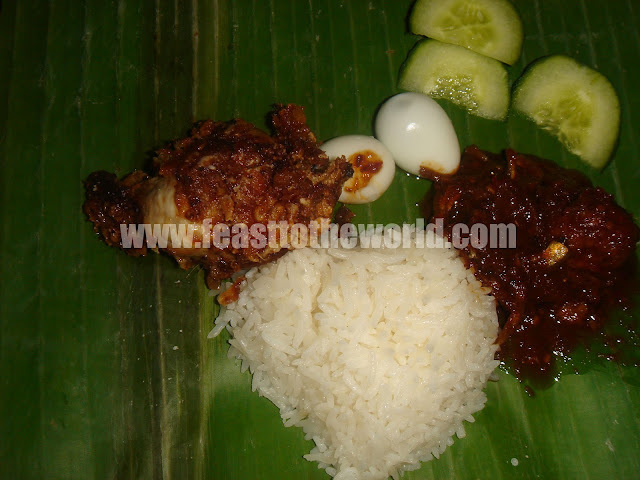 The Nasi lemak was without a doubt, my favourite, due to that unmistakable odorous sambal, made with large ikan bilis, chillies and the hard-to-find Bintulu belachan. In addition, the perfumed coconut and pandan-infused rice were just a joy to eat. 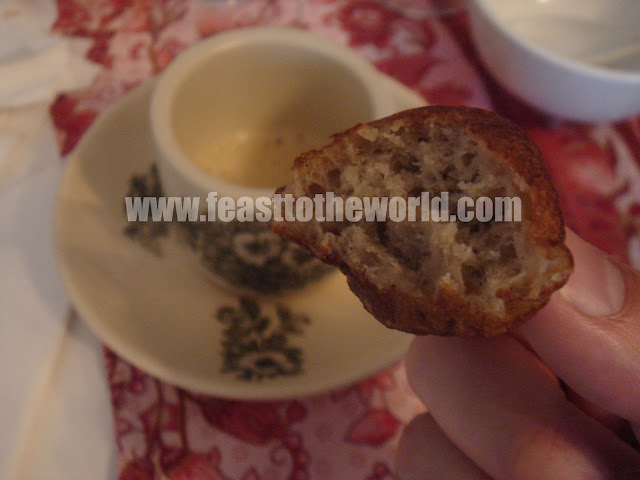 The Nonya fried chicken, laden with spices undertone, were also rather flavoursome. 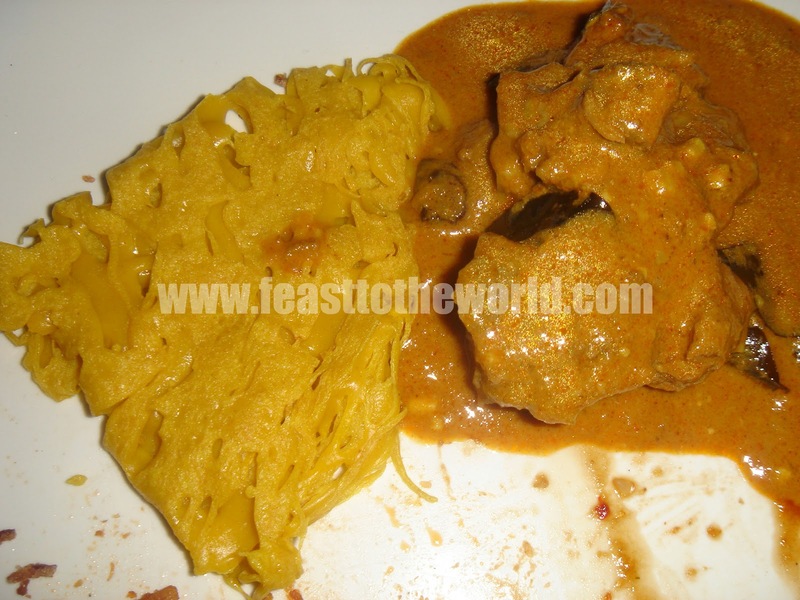 Roti Jala were a pretty thing to look at and made for a great accompaniment to the lamb curry. The curry definitely has a real authentic flavours of Malaysia to me. This is precisely the type of curry that I remembered having with roti chenai or roti prata back in Malyasia and Singapore. The pudding, Ais Kacang was for me, the piece de resistance of the meal. I have been looking forward to this since I've bought the ticket for the event. Was I disappointed? Nope! 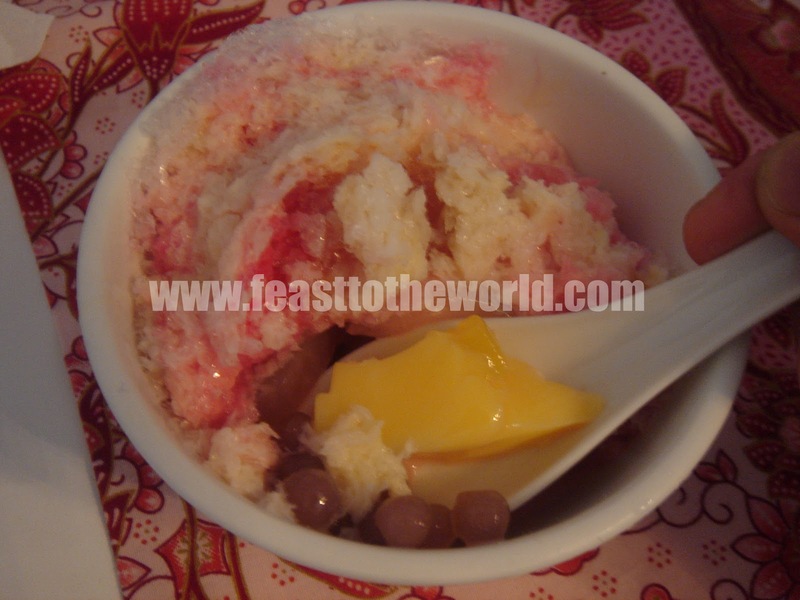 Big pile of shaved ice on top of loads of hidden treasures such as sweetcorn kernels, red beans, sea coconuts and jelly; finished off with the sweet-scented rose water, creamy evaporated milk and sugary plan sugar syrup. It's all so, so delicious and moreish. To finish it all off, we were also offered the frothy Teh tarik (pulled tea), which was creamy and sweet from the evaporated milk and a Nonya banana kueh (cakes). Perfect ending to a wonderful and authentic Malaysian street brunch. If you want to taste real food of Malaysia, then this is definitely the place to be. Amid all these, I've forgotten to mention the perfect hosting skills of the hostess Yolanda. In between courses, she never failed to introduce and explain the food that's been dished out and the helpers were amiable and very helpful too. 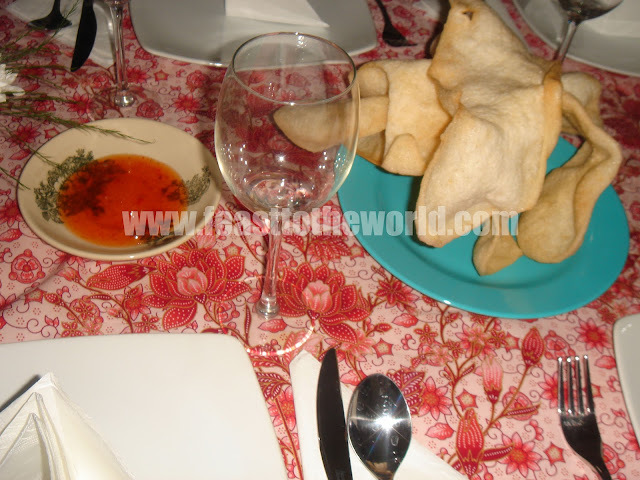 The meal cost £25 and more supperclub events by Wild Serai can be found here on the Edible experience website.